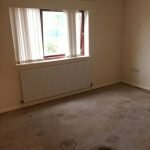 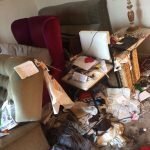 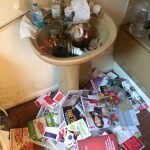 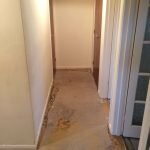 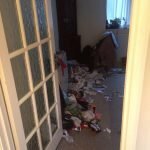 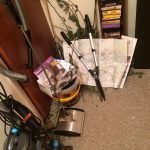 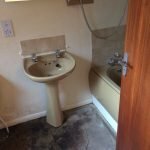 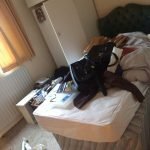 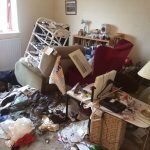 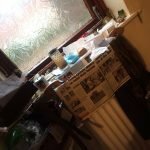 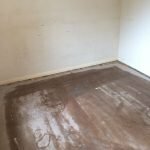 House Clearance Service In Kimberley Broxtowe Nuthall Swingate Watnall. 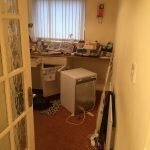 As well as clearing the usual furniture these small items will also need clearing – A brand new pink fitted single sheet, A red and stainless steel Bosch Tassimo pod filter coffee machine, A large metallic effect photograph frame from Next 7×5″, A brand new boxed super sofa leopard print snuggle blanket, A brand new boxed Babyliss body benefits bath spa, A small white painted antique shabby chic mirror. 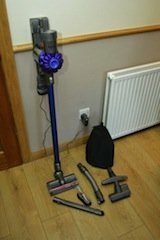 A blue and grey Dyson V6 animal handheld vacuum cleaner. 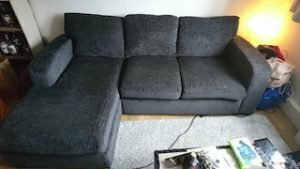 A four seater low back corner sofa, upholstered in grey fabric. 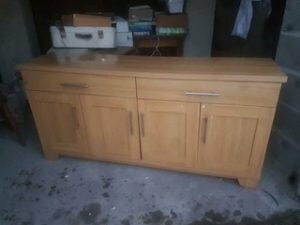 A large solid oak sideboard, having two drawers above two single and one double cupboard, with chrome handles. 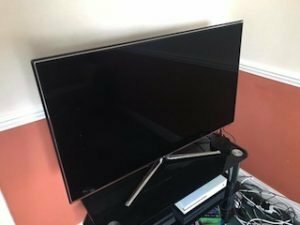 A black Samsung 40 inch flat screen LED 3D flat screen television. 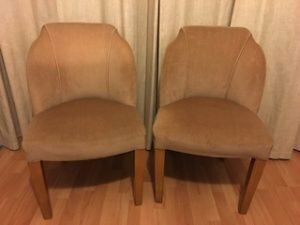 A pair of quality vintage curved back occasional chairs on solid oak legs, upholstered in neutral velour. 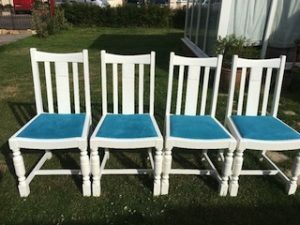 A set of four white painted solid wood high back dining chairs, upholstered to the seats with blue velour. 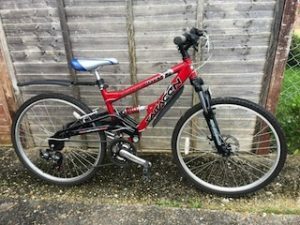 A red framed aluminium mens mountain bike. 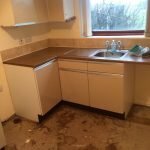 A John Lewis Sophia French style unit, having a single cupboard aside four small drawers, above one large drawer. 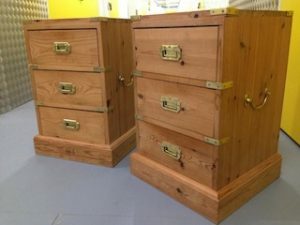 A pair of solid pine three drawer bedside drawers, each with brass handles and brass mounts. 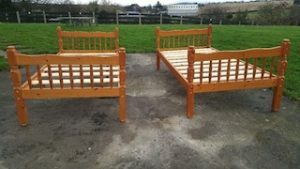 A pair of solid pine four poster single bed frames. 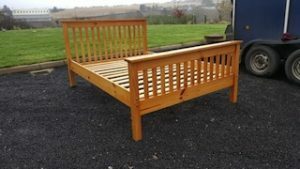 A solid oak double bed frame. 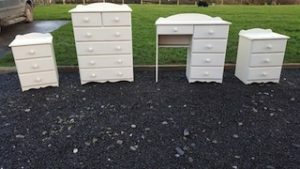 A four piece white solid wood bedroom furniture suite, comprising a tall chest of drawers, a design table and a pair of bedside drawers. 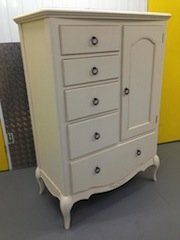 A tall standing solid pine single wardrobe, with one drawer to the base. 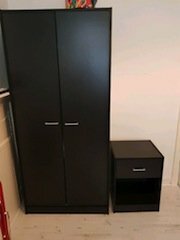 A tall standing black wood Ikea double wardrobe, together with the matching bedside unit. 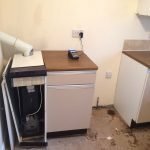 A white Hotpoint 7kg 1400 spin under counter washing machine. 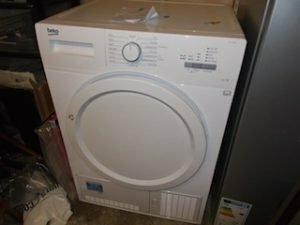 A white Beko DCX71100W under counter 7kg condenser tumble dryer.